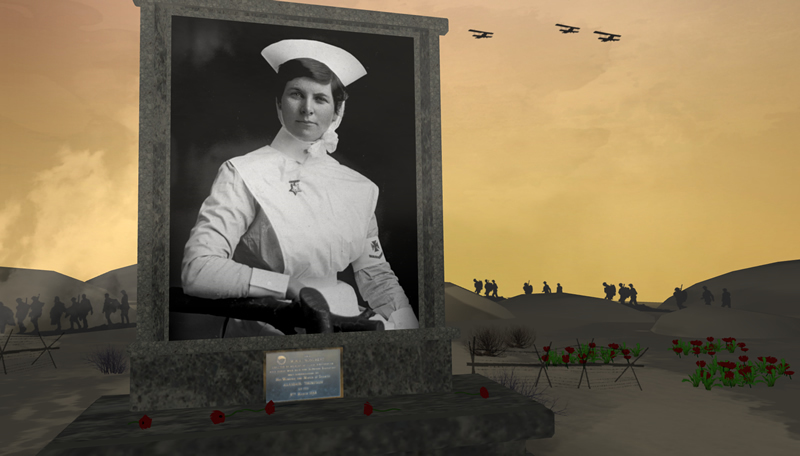 The video for this story about Lottie Le Gallais and First World War nurses screened on TV3 News on 19 April 2015. Charlotte Le Gallais (‘Lottie’) was one of 10 nurses who served on the first voyage of the New Zealand Hospital Ship Maheno, which went to the aid of the Anzac troops at Gallipoli. A lot is known about Lottie’s experiences on the Maheno from her diary and letters home. Terrible, terrible wounds. The bullets aren’t so bad but the shrapnel from exploding shells is ghastly. It cuts great gashes, ripping muscles and bones to shreds. Thirty-nine men have died on board so far and every one suffered great pain and discomfort. Two of Lottie’s four brothers served in the First World War. Leddra (Leddie) was already at Gallipoli when she embarked at Wellington and was killed on 23 July 1915. Lottie didn’t know this until some lost mail finally reached her in October. Lottie and her brother Owen, who fought in France, returned home safely. She returned on the Maheno in January 1916, and was posted to the retired list on 21 June 1916. She married her fiancé, Charles Gardner, with whom she had two children. Lottie died in 1956.